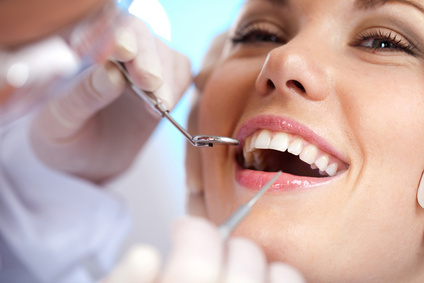 Home/Dental Crowns/Are You in Need of a Dental Crown in Rochester, Michigan? A routine trip to the dentist should really be a biannual plan for everyone to be able to get a proper cleaning and exam. 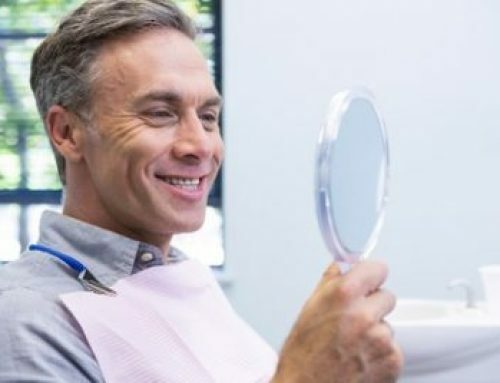 Having said that, some individuals may have to see their dentist’s office more than twice in order to have procedures such as fillings, crowns, and root canals performed. If this is the case for you, you could be searching online searching for an explanation of the procedure you are about to undergo. It’s normal to be inquisitive, but there is no need to be scared. 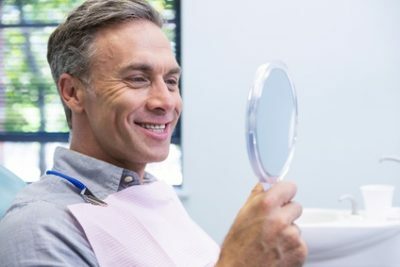 The most typical procedure is crowns, which are also referred to as “caps”, and they are used to maintain or protect a damaged tooth. Dental crowns can be made of three different restorative materials (all-ceramic, porcelain-fused-to-metal, or gold), which material is chosen to create the crown is dependent upon a variety of needs including strength requirements, esthetic demands, and space available for the restoration. The necessity for a crown occurs when decay or damage to a tooth is too much to be helped with a veneer, or if a root canal has taken place. Based on what material is chosen to create your crown, it will either be created at the dental office, or in a laboratory. Prior to receiving the crown, it is normal to have a consultation visit where your dentist will go over preparation methods for the procedure and take impressions of your existing tooth to make the appropriate sized and shaped crown. During this consultation, a temporary crown might be placed on the damaged tooth to protect it until final placement. During the second appointment, the new dental crown will be placed and fastened in. Some clients may need to have a local anesthetic; but this is generally painless to most patients. The crown will be checked by the dentist for the way it is placed; ensuring that it properly fits the tooth and its neighboring teeth. You might be asked to look in a mirror to check the shape and color. Once you and your dentist are satisfied with the crown as a whole, the crown will be cemented into position and any extra dental cement can be scraped away by the dentist. Following the placement of a crown, your dentist will give you with information regarding proper care for your new crown. Common practices of brushing two times a day and flossing will help prevent the growth of plaque and gum disease. It is best to avoid eating ice or other hard foods, grinding or clenching your teeth, and biting your fingernails, as these can lead to damage of the dental crown. As mentioned before, crowns can be made of various materials depending on the need of the patient. All-ceramic crowns are typically more esthetically pleasing as the translucency of the material causes them to look very similar to natural teeth. These crowns do not require any metal and are able to use less material, which makes them a great option for a small space in the mouth. The durability of the all-cement crown is good, but really should not be used for people who have a tendency to grind or clench their teeth. Porcelain-fused-to-metal crowns are the second most esthetically pleasing choice. The metal inside the crown takes away some of the translucency in the porcelain but contributes needed durability and support. It is essential to note that as gum recession takes place, the metal portion of the crown could become visible. A gold crown is not as popular as it used to be, mainly for esthetic reasons. Still, a gold crown has a lot to offer in durability and strength, especially for molars and people who clench or grind their teeth. Gold is a good choice material when considering the wear and tear on the bordering teeth, since it tends to be less abrasive than porcelain. If you live in Rochester, Michigan and have further questions regarding dental crowns, or would like to schedule an appointment, please call our office at 248-652-0024.